Any and every dermatologist will tell you that a retinol product is a “must-have” for a good anti-aging skincare regimen. However, my skin is dry at baseline, can be pretty sensitive, and I already combat some at-baseline redness. Therefore, I pretty much had ruled out including any type of retinol into my skincare for fear of worsening any or all of my above concerns. Nope, I do not sell Rodan and Fields. But, one of my friends from high school, who is a pharmacist by the way, does sell it and sent me one of these capsules as a sample and I have been hooked since! This product has not only been completely tolerable for my stressed out skin but also remains very effective. I highly recommend this to anyone who doesn’t already incorporate a retinol product into their skincare, and especially for anyone with sensitive skin. Link to product provided below. Images from Rodan and Fields website. 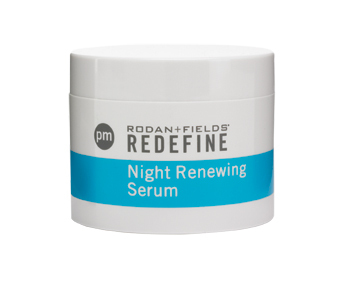 Rodan and Fields Night Renewing Serum. Disclosure: Nope, I very sadly don’t receive absolutely anything in return for this review. This entry was posted in Beauty, Skin Care and tagged antiaging skincare, best retinol product, retinol product, Rodan and Fields, Rodan and Fields Night renewing serum, Rodan and Fields Night Renewing Serum review, Rodan and Fields Review by surgeoninkicks. Bookmark the permalink.